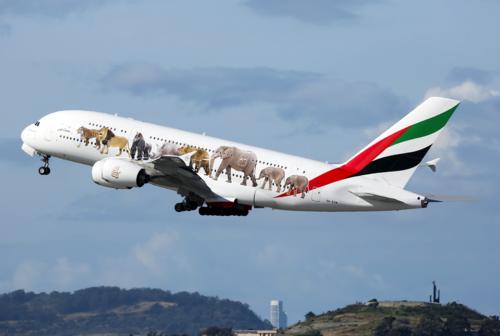 Emirates cutting service to U.S. Guess why. It’s getting wild out there. Today Emirates shared news that it is reducing service to 5 of the 12 US cities it serves. Emirates can confirm that we will be reducing flights to five of the 12 US cities we currently serve. From 1 May and 23 May respectively, our Fort Lauderdale and Orlando operations will move from daily services to five a week. From 1 and 2 June respectively, our Seattle and Boston operations will move from twice-daily services, to a daily service. From 1 July, our operations to Los Angeles will move from twice-daily to a daily serve. This is a commercial decision in response to weakened travel demand to US. The recent actions taken by the US government relating to the issuance of entry visas, heightened security vetting, and restrictions on electronic devices in aircraft cabins, have had a direct impact on consumer interest and demand for air travel into the US. Until the start of 2017, Emirates’ operations in the US has seen healthy growth and performance, driven by customer demand for our high quality product and our international flight connections. However, over the past 3 months, we have seen a significant deterioration in the booking profiles on all our US routes, across all travel segments. Emirates has therefore responded as any profit-oriented enterprise would, and we will redeploy capacity to serve demand on other routes on our global network. We will closely monitor the situation with the view to reinstate and grow our US flight operations as soon as viable. Emirates is committed to our US operations and will continue to serve our 12 American gateways – New York JFK, Newark, Boston, Washington DC, Chicago, Seattle, Los Angeles, San Francisco, Houston, Dallas, Fort Lauderdale, and Orlando – with 101 flight departures per week, connecting these cities to Dubai and our global network of over 150 cities.